Mario Draghi: Do Not Forget To Complete The Euro Area! 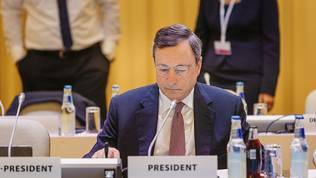 There are two pieces of news from the June meeting of the Governing Council of the European Central Bank. The first is that the bank took a step towards tightening monetary policy. The second is that serious changes will not occur until basic inflation remains a straight line. There is a hint about upcoming monetary policy changes contained in the absence from the press release about ECB monetary decisions of the phrase “or lower” in the paragraph “The Governing Council expects the key ECB interest rates to remain at their present levels for an extended period of time, and well past the horizon of the net asset purchases”. For years, the phrase was right after "present". ECB boss Mario Draghi hastened to warn, however, that a "very substantial degree of monetary accommodation" is still needed to put pressure on core inflation. The euro area economy rose 0.6% in the first quarter of the year. Data shows that there is a robust and broad economic growth coming, which could be delayed by the slow implementation of structural reforms, especially in product markets, and by the unresolved problems in the balance sheets in some sectors. The bank revised its forecast upward for economic growth in the euro area and expects it to be 1.9% this year, 1.8% next year, and 1.7% in 2019, but revised it downward for the annual inflation on the Harmonised Index of Consumer Prices (HICP) - 1.5 % in 2017, 1.3% in 2018 and 1.6% in 2019. According to Mario Draghi, setting aside the prices of petrol and food, core inflation has not changed so far. “Very little has changed as far as inflation is concerned, because it was 1.9% in April, if I remember, and we all remember the serious concerns, if not the outcries, that inflation was going up too much, and now it's 1.4%, and it's mostly – actually, almost entirely – driven by the price of oil and price of foods. So, from that viewpoint nothing has changed in substantial terms”. Mr Draghi's explanation is that growth in nominal wages is suppressed. One reason for this is that despite the strong pace of jobs creation (unemployment for the first time reached its lowest level - 9.5% - since April 2009), many of them are of low quality. This is temporary or partial employment. Probably this is the reason for the slowdown in wage growth, Mr Draghi suggested. Another reason is that implemented structural reforms, however good they are for growth and employment in the medium and long-term, make markets more flexible and this leads to lower nominal wage growth, the central banker said, and called for patience. We must wait for the effects of structural changes in the labour market and the economy to disappear, which will improve the quality of jobs and increase productivity. 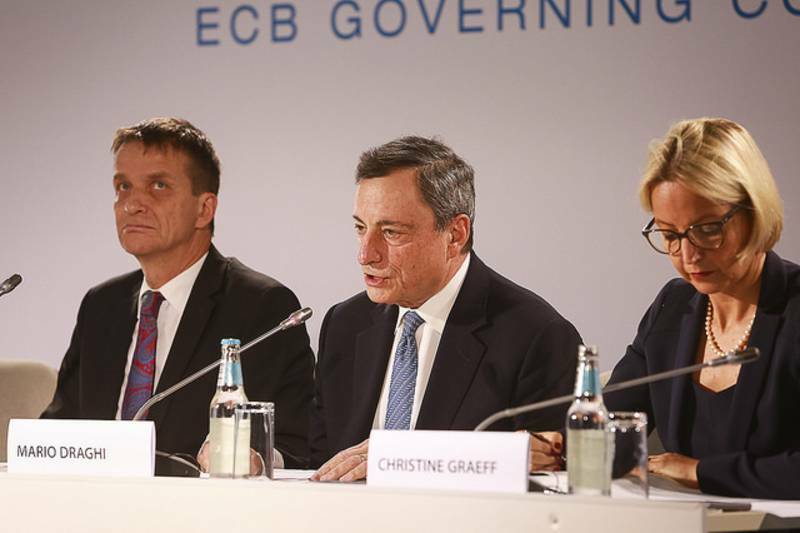 Apart from patient, we must be confident, Mario Draghi said, because there are two phenomena in terms of inflation. The first one is that the tail risks have disappeared and there is no longer any risk of deflation, which have prevailed in recent years. The second is that the risk of inflation uncertainty has already diminished. Mario Draghi was convinced that inflation would reach the target of close, but below 2%. Until then, the bank will continue with its assets purchase program with a monthly step of 60 billion euro by the end of December, and further on, if necessary. "Also, I want to emphasise that basically the ECB will be in the market for a long time", added the ECB chief. 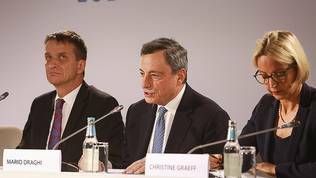 Mario Draghi commented with some reservation the reflection paper on the future of the euro area, which the European Commission presented in the end of May. He reminded that the Economic and Monetary Union is still incomplete and that there is already a plan to complete it, in the compilation of which he also participated – the five presidents’ report. "So, I guess it's to be welcomed, this new work on strengthening the monetary union, especially having in mind that we need to repair the fragilities that have appeared in the last few years in the union. Then we can discuss what we talk about, but this is a broader discussion, and it's not finished yet. 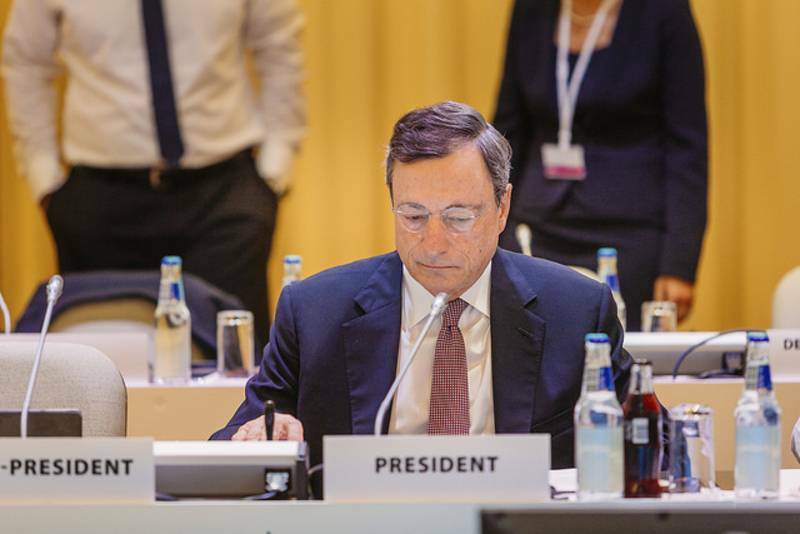 It's just the beginning of a broader discussion", Draghi said, while he looked as if he had not expected such a question.